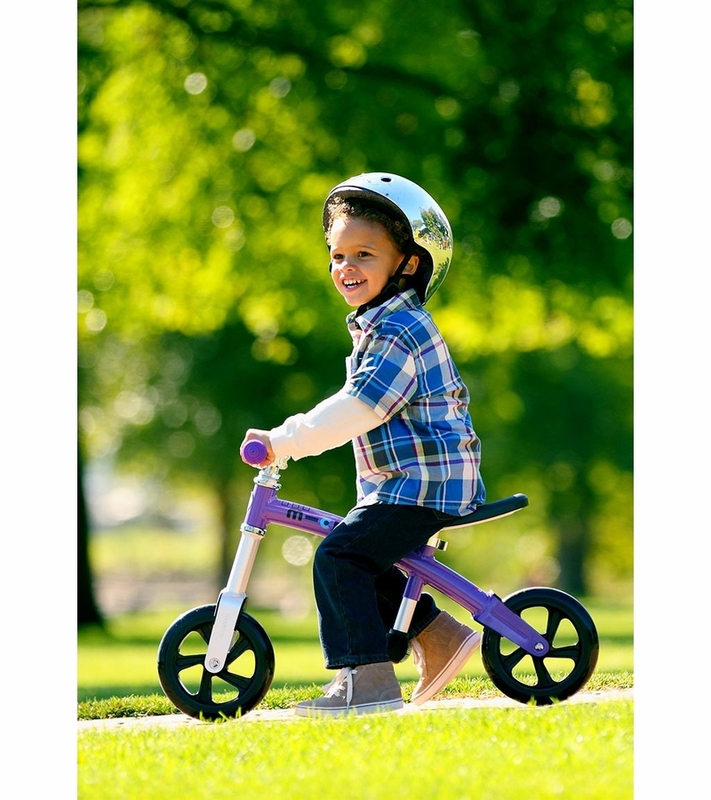 Bypass training wheels by teaching balance from the start with Micro's lightweight, easy to ride balance bike, the 'G Bike +'. It's a bike without pedals or chains that toddlers propel with their feet, learning balance and coordination needed to ride a bike later in life. Constructed of aluminum, the G-Bike + is ultra lightweight. At only 6.4 pounds, children have the ability to control and maneuver it easily. 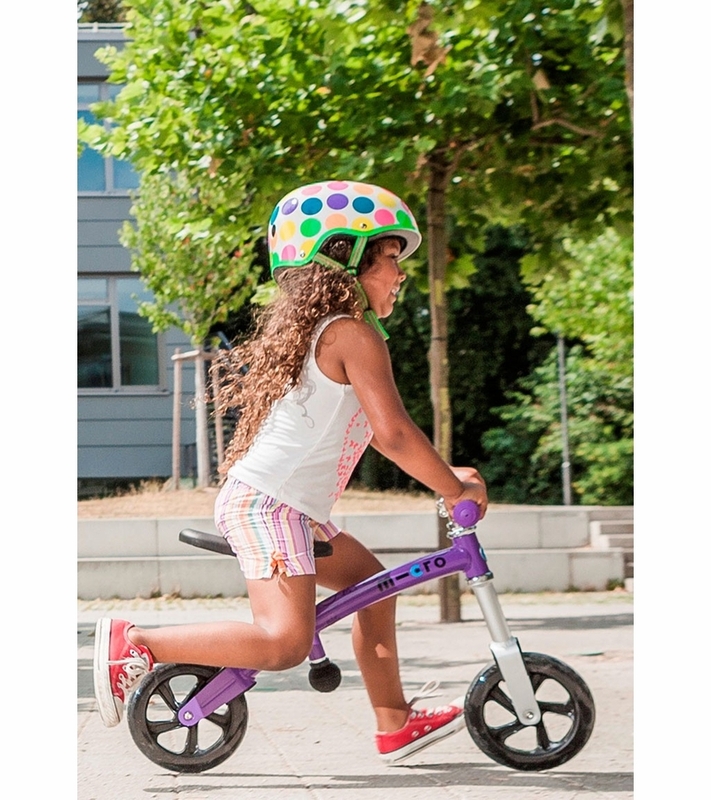 The G-bike can be used year-round, indoors and out, thanks to the quiet, smooth-gliding, non-marking wheels. The seat is adjustable from 13 inches to 15.5 inches and the handlebars are adjustable from 20 inches to 21 inches. Children will learn to ride the G-Bike intuitively but we find that children who are shown the G-Bike video pick it up just that much more quickly. 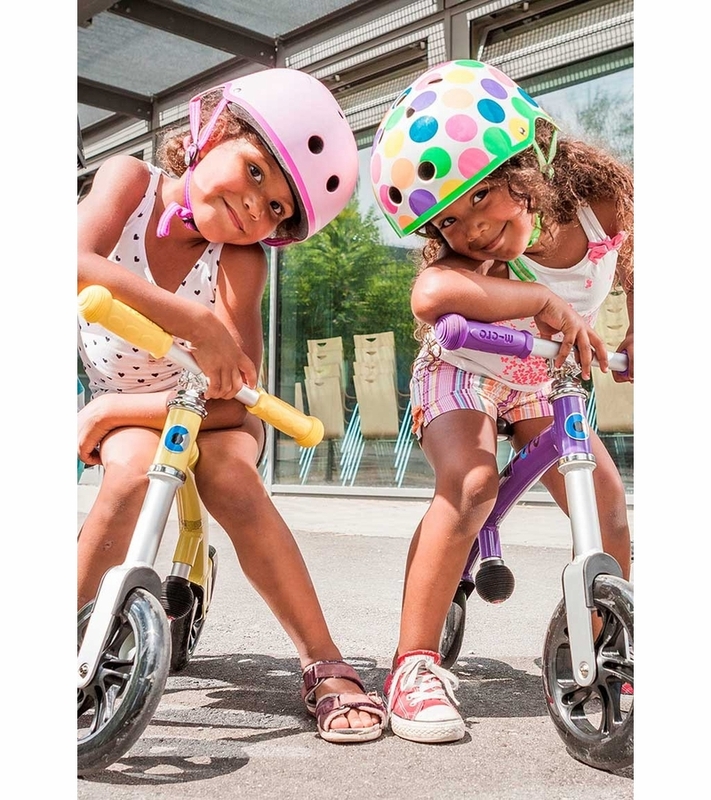 Watch their confidence grow as children learn to balance on the G-bike. It is amazing to see such young children pick up their feet and glide on two wheels at such a young age. Both feet are in easy reach of ground, helping them to feel safe as they learn to balance and coast. The rubber knob at the end of the seat stem is there to protect kids from injuries. The light weight helps parents have an easier time carrying the G-Bike on the way home after a long day at the park. Its adjustable seat and steering mechanism accommodate growing kids, gliding, non-marking wheels roll over bumpy sidewalks with ease, and the durable, ultra-light construction means it can be passed down through your family for years. 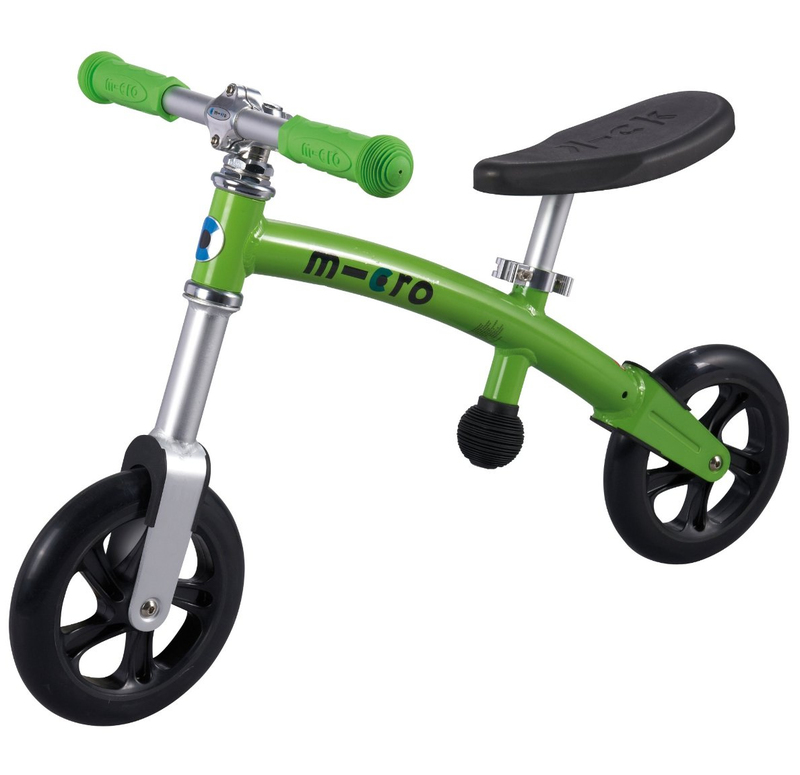 Length/width of scooter 30" x 15"
Handlebar adjusts 20" to 21" from the ground & the Seat Adjusts 13" to 15.5"
Recommend primarily for 2 and 3 year olds. A 4 year old might ride it happily but not in the way in which it was intended and designed, as a balance bike, or for learning balance. 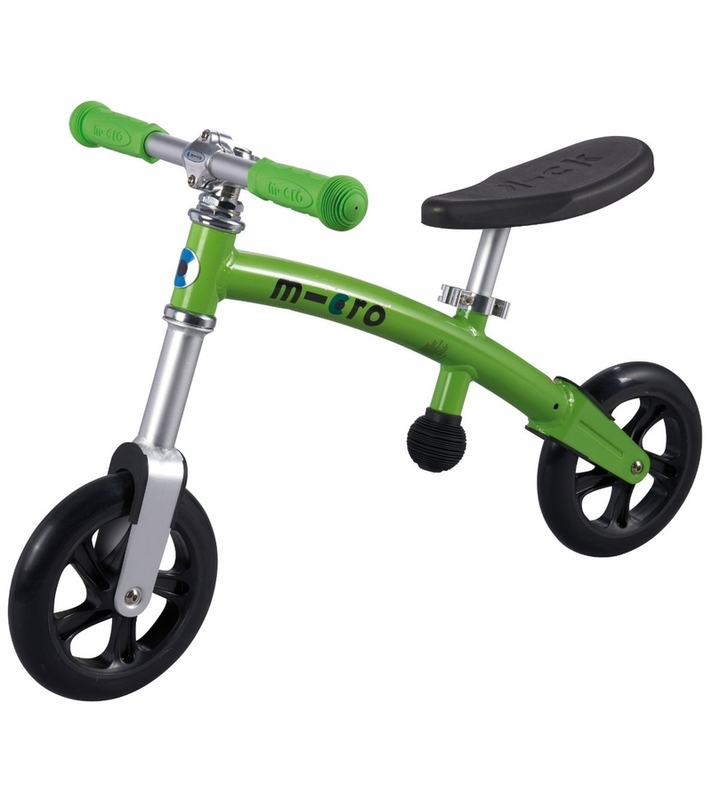 Older children tend to ride it around for fun, but with feet dragging, so we do recommend this product for children ages 2 or 3 only.